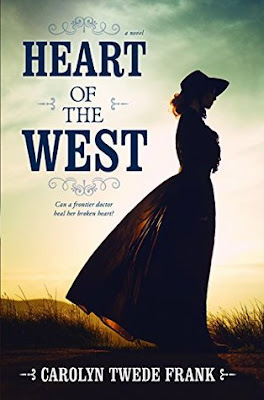 I enjoyed this story of strong women surviving in the Old West. Kate shows gumption and fortitude when she abandons her high society parents and fiancé and travels to Colorado so she can practice medicine and provide doctoring services to a new boomtown. I admired that she followed her heart and dream in spite of the difficulties. There is a variety of characters in the townspeople and ranchers she comes across, and I especially liked how she warmed to the women and wanted to help them improve their situations. Lucas is also a great character with his warmth and twinkle in his eye, but for some reason I had a hard time picturing him at first. He and Kate definitely have chemistry and it was sweet to watch their relationship slowly develop. I loved the setting and experiencing it through the eyes of a pioneer.